We are looking at the parable of the workers this morning in Matthew 20:1-16. And I am asking the question, What is God asking you to do? The vineyard owner hires day laborers in town. The workday at this time was 12 hours long. About 10 hours of actual work, with breaks for meals, prayers. The last worker only worked an hour. A “denarius” equals a day’s wage, something like minimum wage today. The workers get paid at the end of each day in accordance with Deuteronomy 24:14-15. Those who live hand to mouth, must be paid right away so that they can feed their families each day. – that are fairly clear. 1. The point of the parable is that the first will be last, and the last first. The parable is sandwiched between two statements that say just this (an inclusion). And the language of last and first shows up throughout the parable itself. Now, although in other places this phrase “the first will be last and the last will be first,” means reversal (e.g. Luke 13:30), 2. here “the first and the last” speaks of equalization. The last are treated like the first and the first are treated like the last, which is not about reversal. The climax of the parable in v. 12 shows this. Those who worked the longest complained, “These last worked only one hour, and “you have made them equal to us” who have borne the burden of the day and the scorching heat.” The issue here is how all the workers were treated equally, even though some had done more work. 3. The basic identities of the first and the last is clear. v. 10 makes it clear that “the first” are those who have worked all day, the 12 hour workers. v. 12 makes it clear that “the last” refers to those hired last, who worked the least, the one hour workers. 2) After enumerating many of the commands, Jesus demanded that he sell his possessions and follow him. (Both Mark and Luke make it more clear that Jesus means “all” his possessions). Then he will gain eternal life (19:16-22). Apparently Jesus saw that he had a problem with a desire for wealth and a desire to keep it for himself. 3) Then Jesus talks about how hard it is for the rich to enter the kingdom. It is, basically, impossible (19:23-24). Now, this is not talking about an actual camel’s gate in Jerusalem. This interpretation comes from the middle ages. It’s a proverb that expresses something that is impossible. Now all of salvation is a gift of God, but it is also true that God requires that we obey him. And along these lines God asks some to do more by way of difficult obedience. And God asks some to do less to enter the kingdom or inherit eternal life. This rightly raises the question, “Is this fair?” – which is what this parable is all about. The first are those whom Jesus demands much from – sacrifice and hard work, like the young man who has to sell all and follow Jesus in full time ministry. They work 12 long hours in the heat of the day. The midday workers are those whom Jesus demands less from – perhaps the 12 disciples who leave all and follow Jesus, but don’t sell all; something less than what the first have to do. The last are those from whom Jesus demands relatively little from – perhaps ordinary Christians who don’t even leave all. They stay at home and support those who do. So, we all have to obey; everyone in the parable worked some. But God requires of some more sacrificial obedience than others. God is sovereign and can do what he wants in this regard. He can be generous with some whom he doesn’t require as much from. Yet all who do what God calls them to do will receive eternal life. The last is like the first, and the first is like the last, in that they all enter the kingdom. So the parable is a footnote to the conversation about the rich young ruler and wealth and the saying in 19:30 about the first and the last. What do we learn from the parable? Don’t be alarmed if God requires more of others. 1. As long as you are doing what God has asked you to do, you are fine. Eternal life in the kingdom will be yours on the final day. So this is a word of assurance to us all just as it was to Peter and the 12 who were worried about what Jesus required of the rich young ruler. 2. If God has laid on you a difficult path of obedience, don’t complain that others don’t have to do what you do. Don’t be like the 12 hour workers in the parable. A question, 3. Is God calling anyone here to leave all and follow Jesus? Or to sell all and follow Jesus? To a life of ministry as a pastor or missionary or some other form of service to God that is beyond being an ordinary Christian working in a local congregation? Are there any rich young rulers here today? Do you here Jesus calling you? What is God asking you to do? Instead of comparing yourself with others – 4. Focus on doing what God has called you to do, and do it well. Now some say that this parable teaches that everyone gets all the same rewards in the kingdom. But this doesn’t fit with many other passages of Scripture (Matthew 5:19, 11:11, 18:4, 23:11, 19:28, 20:20-28). There are rewards for diligent and sacrificial obedience within the sphere of what God has called us to. The question is how well do you do what God has called you to do? If you are called to preach, for instance, how well are you doing this; how hard are you working at this? Or if you are called to support those who do full time ministry and to work in a local congregation, how well are you doing this: how hard are you working at this? This is where rewards come in. And this should be a challenge to us all to serve the Lord with our full obedience in the sphere to which he has called each one of us. Last time we asked, “What is humility?” To put it briefly it means that we lower ourselves before others to serve and sacrifice for their needs. Today our topic is – a little help as we seek to be humble. And we begin with Romans 12:3, where Paul says, “Do not think of yourself more highly than you ought to think . . .” This certainly teaches us to be humble. But I also want to be clear as we get started here that this isn’t about saying we have no value. Each one of us has immense value, even beyond our understanding. We are all made by God. We are all loved by God. God has given each of us gifts. And God has a plan and a purpose for each one of us. So, when Paul says, “do not think of yourselves more highly than you ought to think,” he means have a right view of who you are, that is, use “sober judgment” as he goes on to say. Each of us needs to have a sense of our value before God, without needing then to lift ourselves up in pride over others. In fact, for some of us, our falling into pride may well be an evidence that we don’t have this inner confidence in our value before God, and we are trying to compensate for this lack by boasting or lifting ourselves up to be seen by others. Whatever the case may be this isn’t about berating ourselves, it is about walking in the truth about ourselves which should lead each one of us to a place of humility. Here are five things to remember that should help us in this. Sometimes we are tempted to think we’re pretty good. Especially when we compare ourselves to others. Right? You can always find someone that’s worse off than you, at least in your mind. Well, the truth is stated well in Romans 3:23 – “all have sinned and fall short of the glory of God.” Each one of us has missed the mark and still do. In this regard we should all be humble. We are only forgiven sinners. So don’t put on airs or pretend this isn’t true. Take a good look in the mirror and see the whole picture of your life – not just the good parts. Remember, you too have failed both God and others. All of us have strengths, but also weaknesses – areas where we continue to struggle in our lives or where we don’t excel. And it is human nature is suppose, to see this more readily in others, but not in our own lives. Or we compare our strengths to the weaknesses of others. If this is true for Paul, it is certainly true for each of us. If we stop looking at others and are honest about ourselves we will acknowledge this freely. When you are tempted to think more highly of yourself than you ought, remember, you too have weaknesses. Well, Jesus says this in Luke 17:7-10 – “Will any one of you who has a servant plowing or keeping sheep say to him when he has come in from the field, ‘Come at once and recline at table’? Will he not rather say to him, ‘Prepare supper for me, and dress properly, and serve me while I eat and drink, and afterward you will eat and drink’? Does he thank the servant because he did what was commanded? So you also, when you have done all that you were commanded, say, ‘We are unworthy servants; we have only done what was our duty.’” If you have done what God wanted, guess what? You only did what you were supposed to do in the first place! This is no cause to celebrate in terms of being proud. You get no extra credit or brownie points. And then consider also that it is only by grace that we are able to obey God – as the Spirit works within us to do this. Philippians 2:13 says, “it is God who works in you, both to will and to work for his good pleasure.” If we do what is right it is only because God enables us to do so. So if you are tempted to think more highly of yourself than you ought, remember, you can’t boast about obeying God. Remember, every good thing you are or have is from God. No matter what it is, it is from God, not us. It is all grace, grace, grace. We have it because of God’s love. 5. Compare yourself to Jesus, not others. Like I said, if we compare ourselves to others we can always find someone that we think is worse off than us and so we can exalt ourselves over them. But this misses the point entirely. Other people are not our standard. Jesus is our standard! As the Father said of him on the mountain in Matthew 17:5 – “This is my beloved Son, with whom I am well pleased, listen to him.” He is the one who has pleased God. He is the one who is rightly exalted. Not me, not you, not anyone else who has ever lived. We have to get our focus right. Remember the powerful effect Jesus had on people as the holy one of God? In Luke 5:8 Peter said “Depart from me, for I am a sinful man, O Lord.” The presence of Jesus points out clearly how unholy we are. So listen to Jesus. Study his teaching and example. Spend more time in his presence and you won’t have to worry about pride. If you are tempted to think more highly of yourself than you ought, remember to compare yourself to Jesus and be forever humbled. So just a bit of help from the Scriptures this morning for all of us on our journey to humility. So that we don’t clothe ourselves in pride, arrogance, haughtiness and conceit – lifting ourselves above others wanting to be served and to have others sacrifice for us. But rather that we clothe ourselves in humility, modesty, meekness and lowliness – lowering ourselves before others to serve and to sacrifice for them. When you read the Gospels there are two things that stand out in how they present Jesus to us. First, Jesus is supremely giving. He is full of compassion and love. You constantly see his concern and care for people as he serves and blesses others; as he teaches, heals and delivers. Second, Jesus is clearly demanding. He speaks the truth with clarity; he speaks radically and absolutely in terms of what God requires. He makes bold claims on every part of everyone’s lives. This is an interesting mix of qualities – he is fully giving and he is fully demanding. Sometimes we get ourselves in trouble and misunderstand and distort Jesus when we emphasize just the one side or the other – Jesus is only giving or Jesus is only demanding. But Jesus is both, at the same time. This is who Jesus is. He is fully giving and at the same time he is fully demanding. 1. He gives freedom from our old lives. This includes forgiveness for our sins – all the self-centered, hurtful and even shameful things that we have done. Through his death on the cross Jesus provides for our forgiveness. As he said in Matthew 26:28, “my blood . . . is poured out for many for the forgiveness of sins.” Our sins can all be wiped away! We can be clean and pure! We can leave our shameful past behind! Jesus frees us from our old lives so that we can start fresh with a new beginning. 2. He gives us new life – even now. Jesus said in John 7:37-39, “If anyone thirsts, let him come to me and drink. Whoever believes in me, as the Scripture has said, ‘Out of his heart will flow rivers of living water.’ Now this he said about the Spirit . . ..” The Spirit is the life, power and presence of God. Jesus gives us the Spirit so that we can have new life. He gives us a new identity and purpose. We are now followers of Jesus, who are gifted to serve him (Matthew 25:14-30). He gives us a new community, the church, which is his new family (Mark 3:34-35). A community where we love, care for and support each other. Jesus gives us the gift of new life. 3. He gives us life in the age to come. Jesus said in John 11:25-26, “I am the resurrection and the life. Whoever believes in me, though he die, yet shall he live, and everyone who lives and believes in me shall never die.” He gives us the gift of eternal life with him in the kingdom of God forever. Jesus is full of love and compassion. And gives us everything that is good; he gives us new life. 1. He demands our total allegiance. “Jesus said to them, ‘. . . who do you say that I am?’ Simon Peter replied, ‘You are the Messiah, the Son of the living God’” – Matthew 16:15-16. Peter confessed that Jesus is the Messiah, the one anointed by God to rule and have all authority. And Jesus wants all of us to acknowledge him as the Messiah. As he said in Matthew 10:32, “So everyone who acknowledges me before men, I also will acknowledge before my Father who is in heaven . . ..” If we acknowledge him now as the true Lord over all, he will acknowledge us then before the Father on the final day. Jesus demands our full and complete allegiance to him as Lord of all. 2. He demands our total obedience. We are to do God’s will just as Jesus teaches us what this is. As he often said, “You have heard that it was said, that is by Moses, but I say to you.” (Matthew 5). And he also said in Matthew 23:1, “You have one instructor, the Messiah.” Jesus guides us into God’s perfect will. By way of summary he said, “You shall love the Lord your God with all your heart and with all your soul and with all your mind. This is the great and first commandment. And a second is like it: You shall love your neighbor as yourself.” -Matthew 22:37-39. We are to love God and love and serve others. We are to give our complete and total obedience to Jesus. And our allegiance and obedience to him is to be above even regard for our own lives. As Jesus said in Mark 8:34, “If anyone would come after me, let him deny himself and take up his cross and follow me.” To take up a cross is to die. As we saw before, Jesus gives everything, but as we see here, Jesus also demands everything. Mark 1:15 tells us that Jesus preached, “The time is fulfilled, and the kingdom of God is at hand; repent and believe in the gospel.” “The kingdom of God” is a way of talking about God’s coming salvation. Jesus is saying that it has begun; the time is fulfilled. The kingdom then, is what Jesus gives – freedom from our old lives, new life now, and life everlasting in the resurrection. To “repent” is to have a change of heart and mind that leads you to do God’s will from now on. This then, is what Jesus demands – our total allegiance, our total obedience, and our putting him above all else. What Jesus gives and what Jesus demands summarizes the message of Jesus to us. But Jesus also said in Mark 8:34, “take up (your) cross and follow me.” Our cross is all that Jesus demands from us – our total allegiance and obedience to him above all else. – and shows the relationship between what Jesus gives and what Jesus demands. “For whoever would save his life will lose it . . .” If we refuse Jesus’ demands, we will lose our lives in the coming judgment of this world and its evil. “ . . . but whoever loses his life for my sake and the gospel’s will save it.” If we lose our lives, that is, give Jesus all that he demands, which is everything, then we will save our lives. We will receive all that Jesus has come to give us. 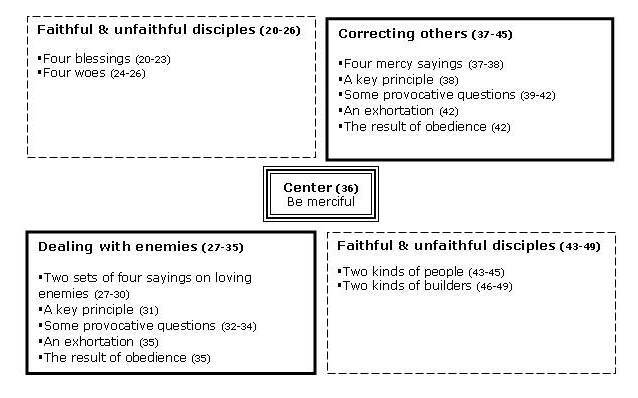 Where do you stand this morning in relation to what Jesus gives? Have you received his gifts to you? Where do you stand in relation to what Jesus demands? Have you given him everything?